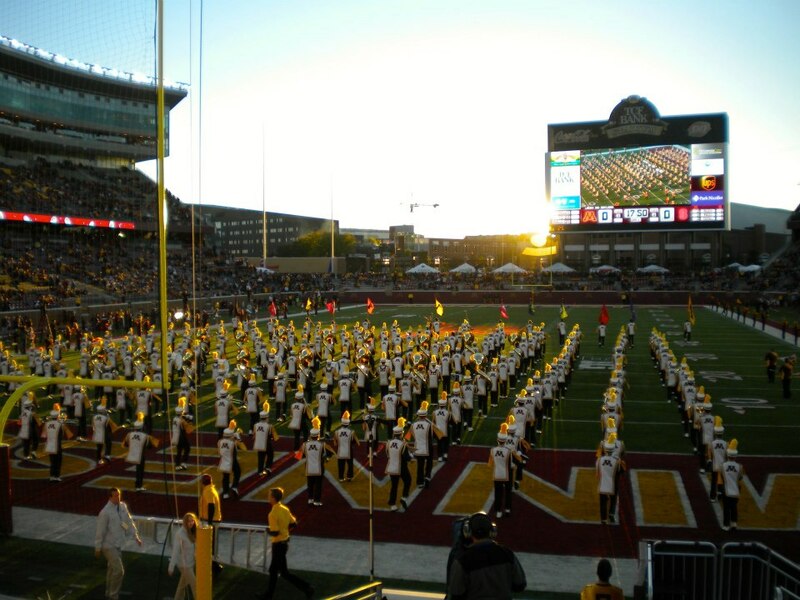 Each year, the graduates and leaders in the University of Minnesota Marching Band get to write a letter to their peers as a way to end the season. I’m sharing mine from this year so that others can appreciate how meaningful of an experience I have had the fortune to experience in college. It wasn’t just an activity that I participated in. It is who I have become, which is all for the better. No matter what happens, music and this university will always be a large part of my life. As the saying goes, “The band does not become part of your life, you become part of the band’s life.” Over the past four years I have realized how true that is. We are but a fleeting moment in the history of the band and our duty to this band that we love is to carry on its legacy and to inspire others to feel the exact same love for it as we do because it’s such a great feeling that we ought to spread it with the world. But for us, this band doesn’t just become part of our lives; it becomes our entire life. It shapes who we are from the moment we enter it to the moment we leave and how we grow over these years remains with us for the rest of our lives. Reflecting back to rookie year when everything was new and exciting and I had no idea what was going on, I am amazed by how much of an impact this band has had on me over the past four years. It was crazy to think as I watched the rookies learn to march this year that it was just a few years ago that I too was taking my first steps with the band – tucking and flat footed with low knees like a boss – and now chair step will always fixed in my muscle memory. At first, being disciplined on the field, memorizing the extreme amounts of music, and sacrificing most weekends to band was a nuisance, but it now is a way of life. I have been shown what it truly is to be inspired and a quality person from the leadership of the directors, the upperclassmen before me, and now, my peers, and I know what I’ve learned from them will help me do great things in this world. It is surreal to think as I write this that never again will I experience the glorious pain in my calves following the first few days of spat camp, run cadence out of the tunnels at TCF Band Stadium, or have a dance party in room 5 with the clarinets while staying at the stadium until at least midnight to help hem marching band pants during spat camp. Never again will I scare the rookies, watch the sun rise at 6 a.m. rehearsal, or have the honor to wear the 15-pound wool uniform (after the bowl game, that is). Returning members, cherish ever moment. No not just the happy moments when we put our hats on backwards at the end of the game or when you find out you made pregame or leadership, but the difficult and character building moments as well such as the humbling moment when you find out you didn’t make pregame when you were sure that you would, the strengthening moment when you don’t think you can make it through MN March down the field again but you push yourself to do so, or the moment of self discipline when you hold yourself at attention despite your exhaustion after marching all of pregame. Also, graduates, don’t ever forget these moments. Over the past four years, I have met more people that mean so much to me than I could hope for in a lifetime – let alone individually mention here – and I am thankful for the opportunity to consider all of them my friends. In fact, I will always cherish everyone in this band whether I talk to you every day or I simply see you on the field. Your dedication, your energy, and your friendship inspire me every day and I would like to thank you all for making this some of the best years of my life. I joined this band looking for friendship, but I found something more – I found a family. I am fortunate to have spent some of the greatest years of my life with such a fantastic group of people. It has been an honor and a privilege to march along side each and every one of you.